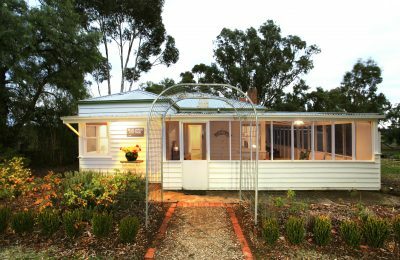 Blue Wren Cottage is quintessential Australian farm house, set in its own garden, fruit trees, with a backdrop of iconic trees, wattles, gums and peppercorns. It has wonderful sweeping views across the farm to the box-ironbark forests. 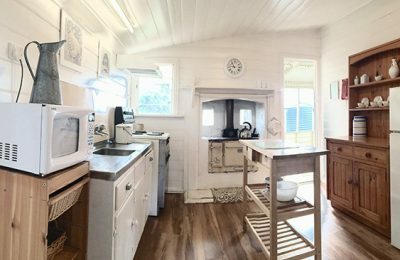 Once a miner’s cottage and ideal for couple, groups of friends or a family with pets. The breezeway veranda offers a relaxed area. 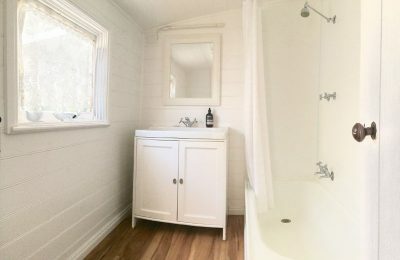 Secluded terraces allow you to enjoy drinks, reading and watching the birds… indulge in hydrotherapy in the Spa Pavilion elsewhere on the farm property which adds an extra touch of luxury available for all guests at Lochinver Farm. 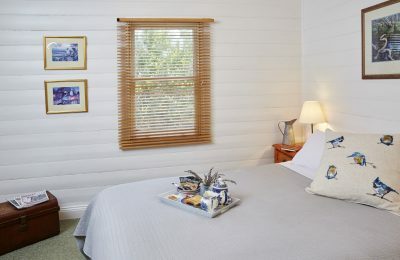 Originally a C1860s Miner’s Cottage, fully self-contained suits 2 to 6 guests. Bathroom with shower over full bath, linen and towels all supplied. 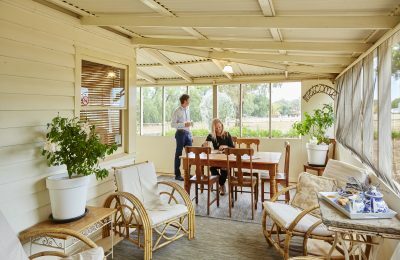 Features a spacious veranda with retro cane lounge chairs and has lots of space for children and pets to enjoy the garden and paddocks. For more pampering, book a soothing massage with REDOME in the Lochinver Garden Retreat. 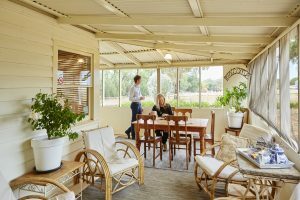 The Villages of the Goldfields with their colonial buildings, verandas, curving streets, quirky bookshops and hip cafes, all just a short drive through gorgeous rural landscapes. Mid way between Bendigo, Ballarat and near to Maldon, Daylesford and Castlemaine. Fabulous base for bike touring and travel by V-Line to Maryborough, we can arrange a pick up. Beautiful, stylish, clean and quiet place to stay. Alison was lovely and very accommodating. 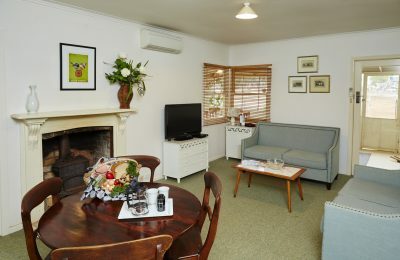 Lounge room with TV, DVD, small library. Parking for cars & buses on property. Book separately or as a part of a larger groups of up to 30.